Are you looking for a better way to communicate with your stakeholders? Ellis and Co can help. We offer superior corporate communications, investor relations and PR services for listed companies and New Zealand businesses. With decades of experience, we provide expert counsel and strategic public relations services to some of New Zealand's most well known businesses. Our clients operate across a range of sectors including healthcare, technology, retail, property, education and more. We offer a comprehensive range of services including investor relations, reputation management, profile building and corporate communications. 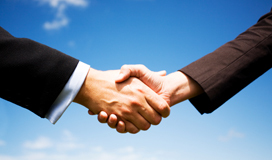 We have a partnership approach, born out of respect and passion for what our clients do. To talk to us about your public relations and communications requirements, please contact us on 09 360 8500 or click here to send us an email. An effective communications and investor relations programme can be critical in positioning your organisation as a desirable investment opportunity. At Ellis and Co, we offer a professional and expert corporate communications and investor relations service, including reputation management, investor relations, media relations and issues management. No matter how big or small, every business can benefit from professional, well executed communications and public relations activity. The team at Ellis and Co can help your business talk to the right people, at the right time, and in the right way. We can provide you with a tailor made PR programme to suit your needs.